The lead federal prosecutor in New York supervising Michael Cohen’s case is leaving his job in April, the Justice Department said Friday. 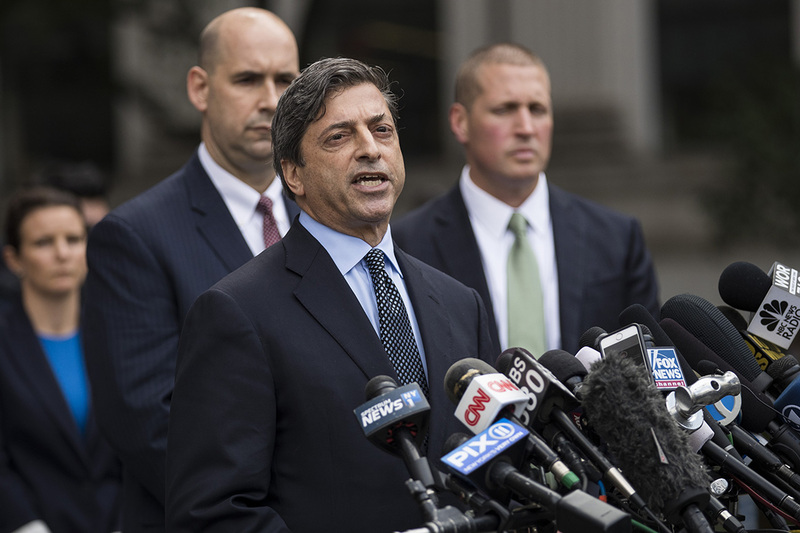 Robert Khuzami, the deputy U.S. attorney in the Southern District of New York, will be replaced by Audrey Strauss, another law enforcement veteran who has also helped oversee the government’s case against President Donald Trump’s former personal lawyer and fixer. Strauss, who rejoined SDNY in February 2018 after a long stint in private practice, will manage a team of DOJ attorneys who have had the Cohen portfolio. The U.S. Attorney in the New York office, Geoffrey Berman, has been recused from the Cohen probe for unknown reasons. “She is super bright, always well-prepared, and am confident she will leave no stone unturned in pursuing the matters arising out of Michael Cohen’s cooperation,” said Nick Akerman, a former Watergate prosecutor who has worked with Strauss both in government and private practice. Cohen is scheduled to begin serving a three-year prison sentence in May after pleading guilty to a series of tax fraud and lying charges. The SDNY office is also examining several other aspects of the president’s political operation and business, including donations to his inaugural committee. In a statement, Manhattan U.S Attorney Geoffrey S. Berman said of Khuzami: "While his desire to continue to serve remains strong, he understandably has decided to return home to his family. Audrey Strauss, who has been invaluable as Senior Counsel, will undoubtedly continue the important work of the Deputy U.S. Attorney."